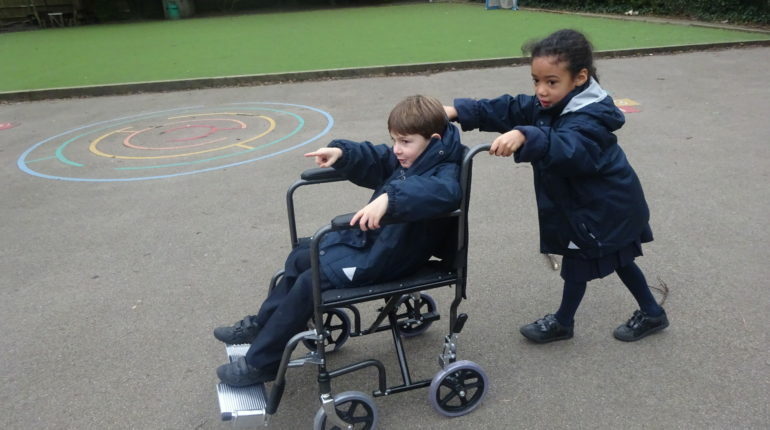 This week in Year 1, our focus has been on people who use wheelchairs. 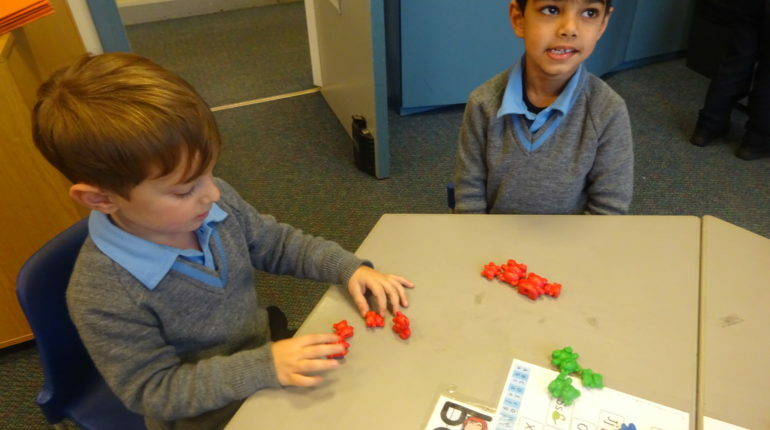 We read the story ‘Susan Laughs’ by Jeanne Willis, it introduces a little girl and discusses all the things she loves to do, and she is just like us. 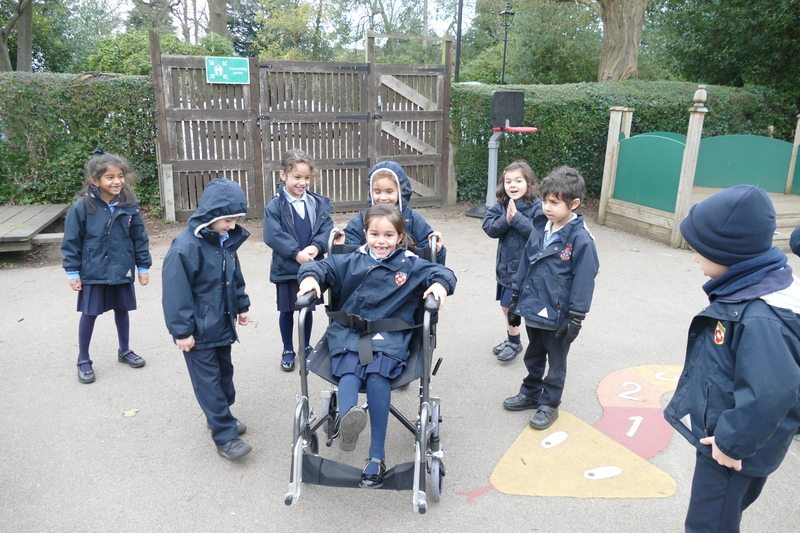 At the end of the story we discover that she uses a wheelchair to get around. 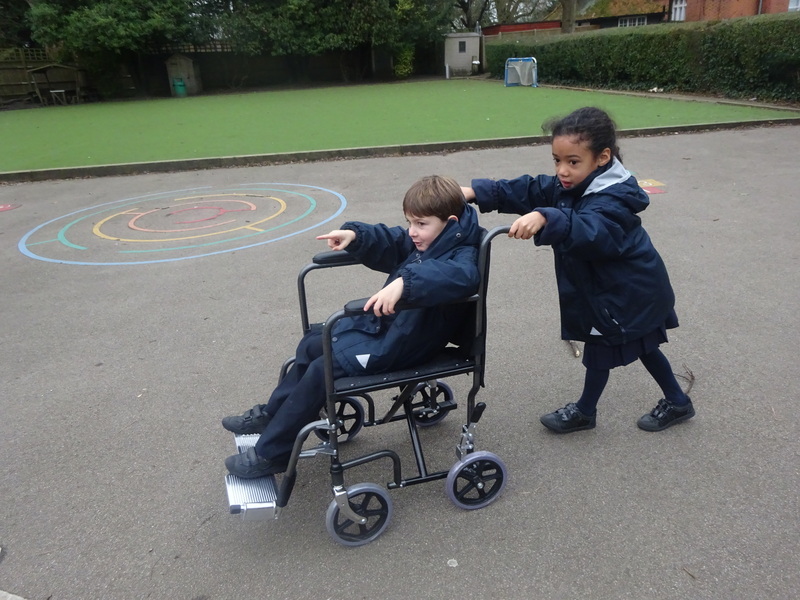 As classes we drew comparisons to how people in wheelchairs are just like us. 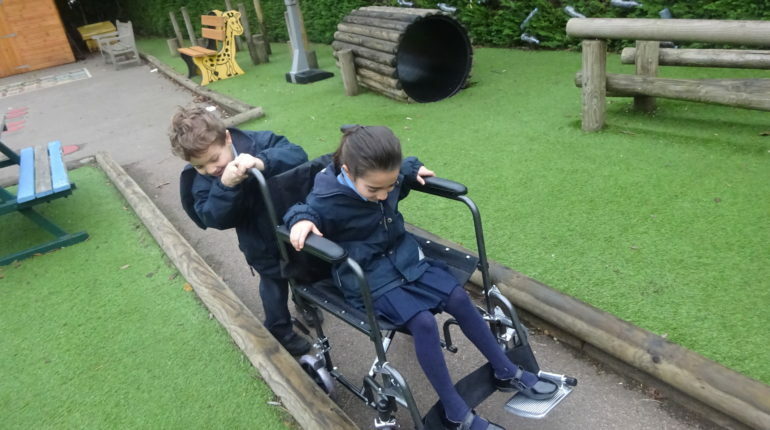 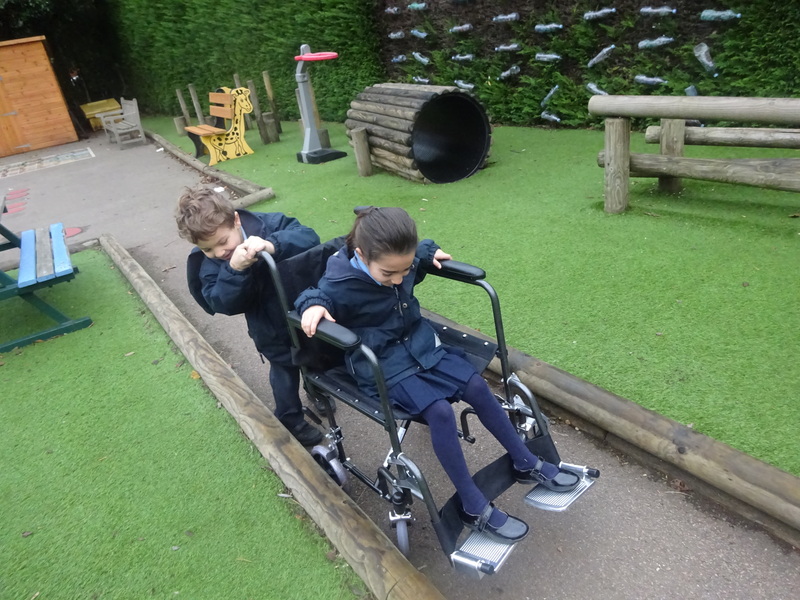 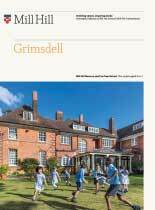 We then took it one step further and attempted to use a wheelchair to go out and play in our playground navigating steps, getting to the toilets and keeping up with our friends. 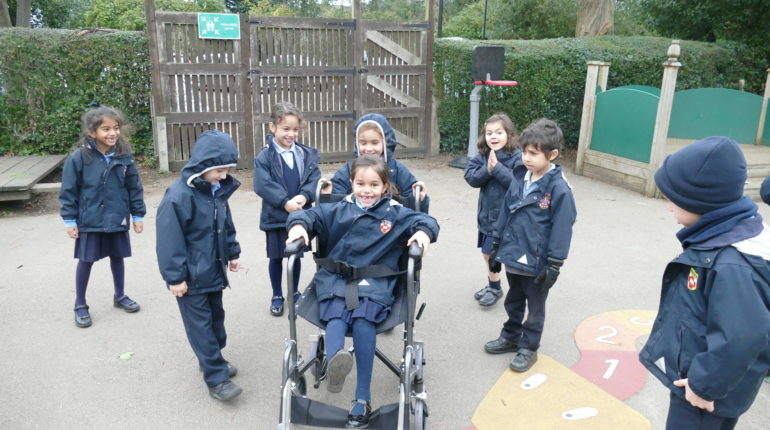 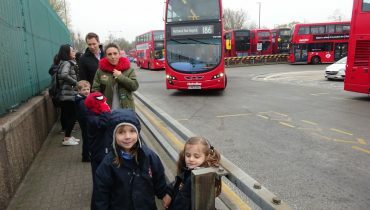 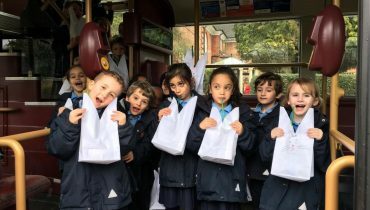 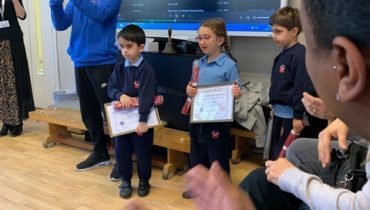 The aim was to give children a different perspective and hopefully fuel an empathy towards those who may find it more challenging to get around. 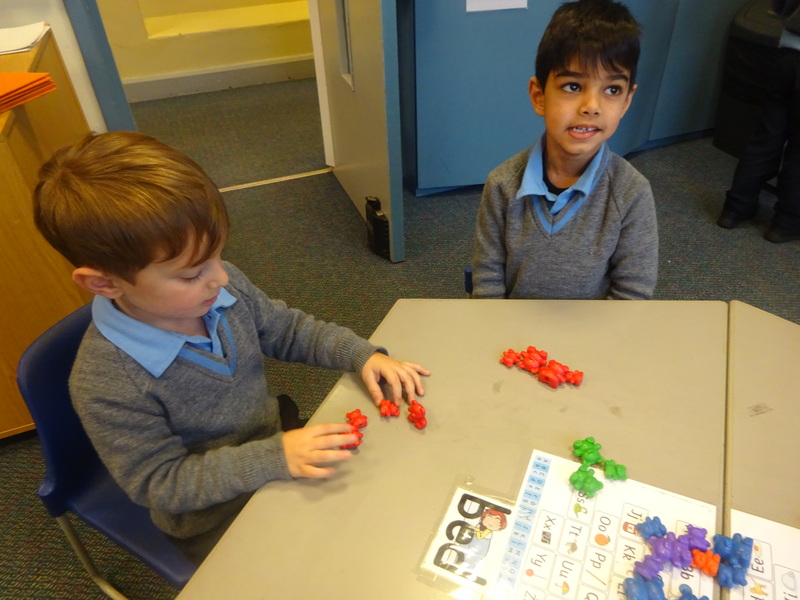 We have done work on rhyming words and the rules for changing words to plurals and this has culminated in creating a poem based on the story ‘Susan laughs’. 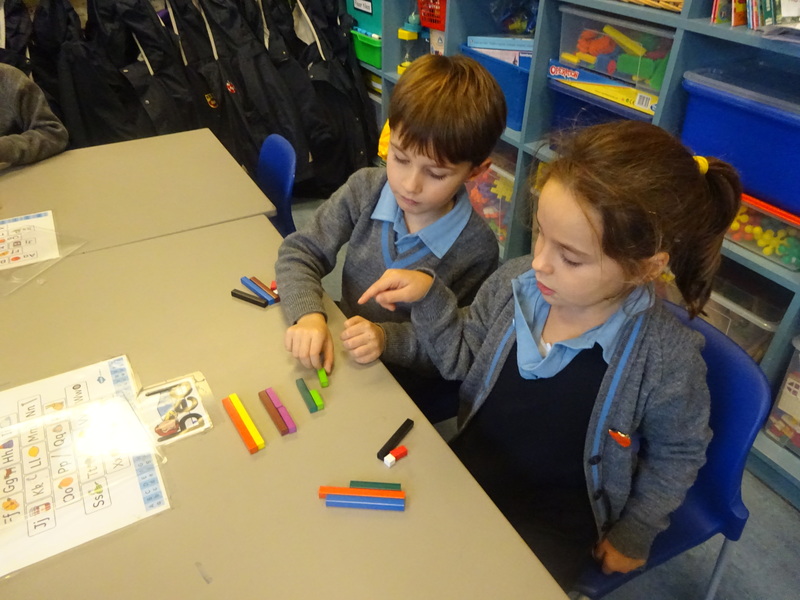 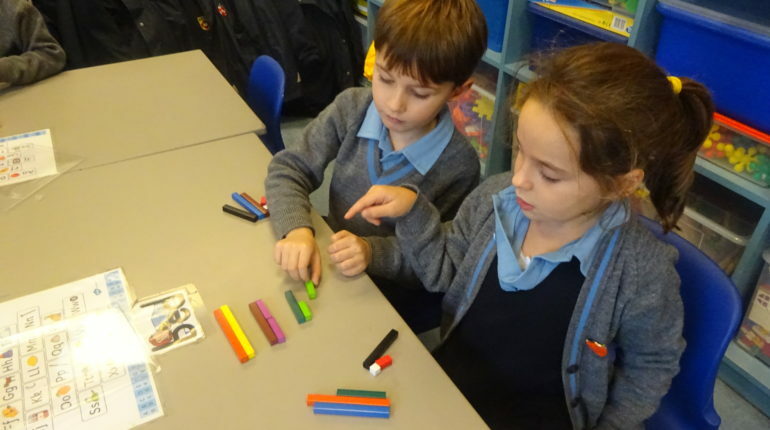 In Maths we have explored equal parts of a whole number, halving and doubling numbers to 20 and identifying odd and even numbers.